FDM is an IT services provider and consultancy group. They recruit some very high calibre graduates for the FDM Graduate Scheme. JobTestPrep can help you land your dream job at FDM with the help of our preparation package. FDM take two main intakes, the FDM Graduate Scheme, and the Ex Forces Programme. Recruitment to both schemes is highly competitive as they aim to ensure that they only employ the best of candidates. The recruitment process for the FDM Graduate Scheme is challenging with several tests thrown at you, particularly at the FDM assessment day. This page goes through each assessment in the FDM graduate scheme process, providing tips, guidance, and preparation materials for each one. The recruitment process for the FDM graduate programme contains three stages. Recruitment to the Ex Forces Programme follows the same three stages, but with very different assessments. The first stage of any recruitment process is the application form. FDM use this form to assess you against their eligibility criteria, so pay close attention to what these are before you start your application form. In the main, FDM is looking for candidates with strong communication, team working and interpersonal skills, as well as a dedicated work ethic. Use every opportunity on the application to demonstrate that you have these skills, along with examples from your past experiences where you have demonstrated them. The FDM group telephone interview is the first stage on your way to joining FDM. This interview is a short 15 to 20-minute discussion with competency based questions about your interests and what you expect from a career with FDM. In this interview, you are assessed on your research into FDM, knowledge of the IT industry, career aspirations and communication skills. Ahead of the interview, you should think of answers to questions such as those listed below, or other common questions, research into FDM and the role they play in the industry. Remember that the interviewer can’t see you, so make notes to keep next to you in the interview. The following questions have all been asked at FDM telephone interviews. Some of these questions may also be used later on in the process, so keep your drafted answers for the next time. What do you know about FDM? What do you know about the training programme? Why do you want to join the FDM training programme? Why do you want to work in IT? Tell me about a time you have used your business acumen. What challenges are you looking for in your job? Why did you choose your degree? Do you think you made the right degree choice? Where do you see yourself in 5 years time? If you are successful at the telephone interview stage, the next and final stage is the FDM assessment day. The assessment day takes place at one of their centres in London, Glasgow or Leeds, and will be a whole day containing several different tasks each designed to assess you against a set of required competencies. The skills tested include (but not only): technical, numerical, interpersonal, and teamwork. The day includes a presentation about the company, a lunch with other candidates and FDM staff, three tests and three short interviews. The FDM assessment centre contains three multiple choice tests each aimed at the skills most needed for a career in IT. These tests are designed to be challenging, so the pass mark is usually set at around 50%. However practice ahead of the assessment centre is key to ensuring that you achieve that score. The first test at the FDM assessment day is the maths test. This is a half hour long mental arithmetic test with questions such as the four basic calculations, percentages, fractions, solving equations and more. You may not use a calculator for this test. Ahead of the assessment day, refresh your memory on these functions, and practice answering questions in your head. The next test is an hour long set notation and Venn diagram test. This test is not too difficult, and you are given a booklet with all the rules and information you need for the test, but it is still important that you go into this test confident and sure of what the test is likely to entail. The third FDM assessment test is the one-hour long aptitude test containing a mix of 50 situational, verbal and logical thinking questions as well as IT questions. The IT questions focus on programming, operating systems, languages, as well as testing your understanding of common IT acronyms such as HTTP, HTML, SQL and more. The situational questions assess your potential response to work based scenarios; the verbal questions look at how well you understand written language, grammar, spelling and more; and the logical questions examine how well you can identify patterns and apply logic to complete the sequence. JobTestPrep offers free verbal reasoning test practice. Ahead of the test look at each individual component of the test and ensure that you know what to expect. JobTestPrep's PrepPack offers a range of preparation materials to help you through the FDM aptitude test. Pass your FDM SHL assessments with confidence using JobTestPrep’s highly effective preparation materials. Gain full access to our SHL practice tests, study guides, score reports, and more by signing up today. The final part of the assessment day is a series of three five minute interviews with managers from across FDM. These interviews are scripted with four questions in each one. The interviews each cover a different area, with a competency interview, an interview with you, and another one testing your knowledge. 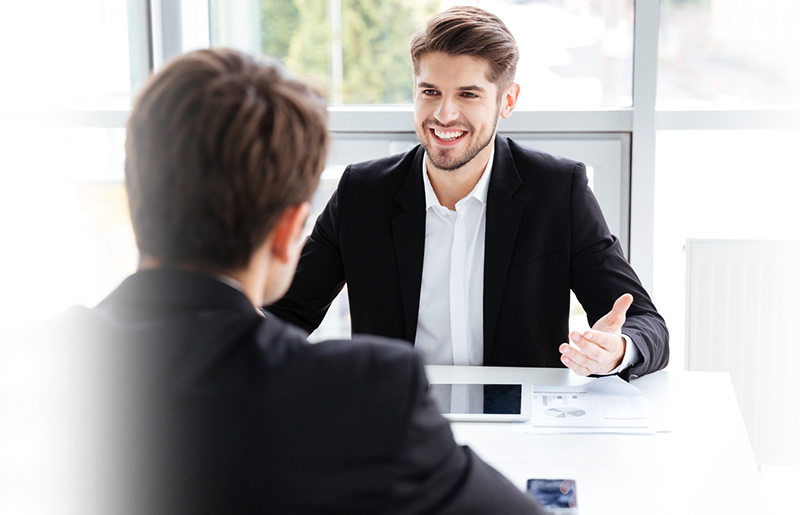 As a subtext, the interviewers are looking for your interpersonal skills and ability to learn fast. FDM will give you all the training you need, so they are more interested in your potential than your current IT knowledge. Although they are short, these interviews contain several challenges. Firstly, due to the scripted nature of the questions, the interviewers will not ask follow up questions, so it is crucial that you give all the information you need to impart in your first answer. Prepare in advance organising your answers with the STAR method to that you can deliver information fully, clearly, and properly structured, but more importantly are concise (you still only have five minutes to go through all 4 questions). FDM also pride themselves on the out of the box nature of their interview questions. Some questions will be out of the ordinary with the interviewer watching you for your reaction to these questions, how well you cope and answer them. Ahead of the interview look at the list below of some FDM interview questions asked in the past, and prepare answers for each one. Use examples from your past experience to illustrate your answers. Once you have pulled together all your preparation, you should rehearse delivering your answers. The most effective way to do this is with a mock interview, so try our interview preparation service. In these interviews a trained assessor with throw the questions at you, and then give you feedback on your performance to make you stronger on the day. Would you sacrifice quality to meet a deadline? What do you think of the organisational change? What are the most important issues the IT sector is facing? Do you like to work on many different projects? How do you balance your time and your time with your friends? How would you describe your perfect day at work? Describe success in three words. Would you study the same degree again? Were there any modules in your degree that you did not like? The FDM recruitment process is short, sharp and challenging. Time frames between stages are short, with assessment centres held every week during the season. Therefore, you need to ensure that you are organised with your preparation and ready to go into it each new challenge. FDM, SHL, and other trademarks are the property of their respective trademark holders. None of the trademark holders is affiliated with JobTestPrep or this website.